Another successful ICC graduate – Barbados Olympic Association Inc. 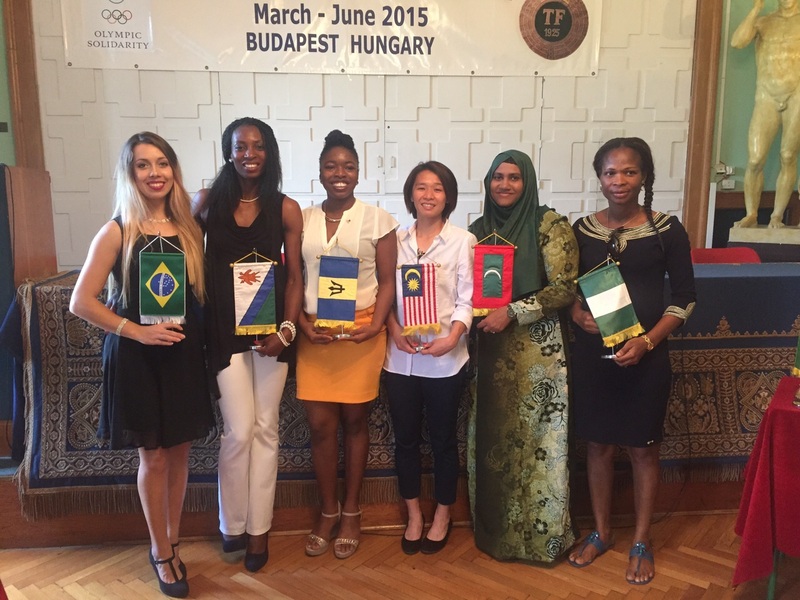 The Barbados Olympic Association Inc. (BOA), since 1996, has supported many local participants in the International Coaching Course (ICC) in Budapest, Hungary. Our most recent graduate is Mariama Eastwood, a Badminton coach at the National Sports Council. 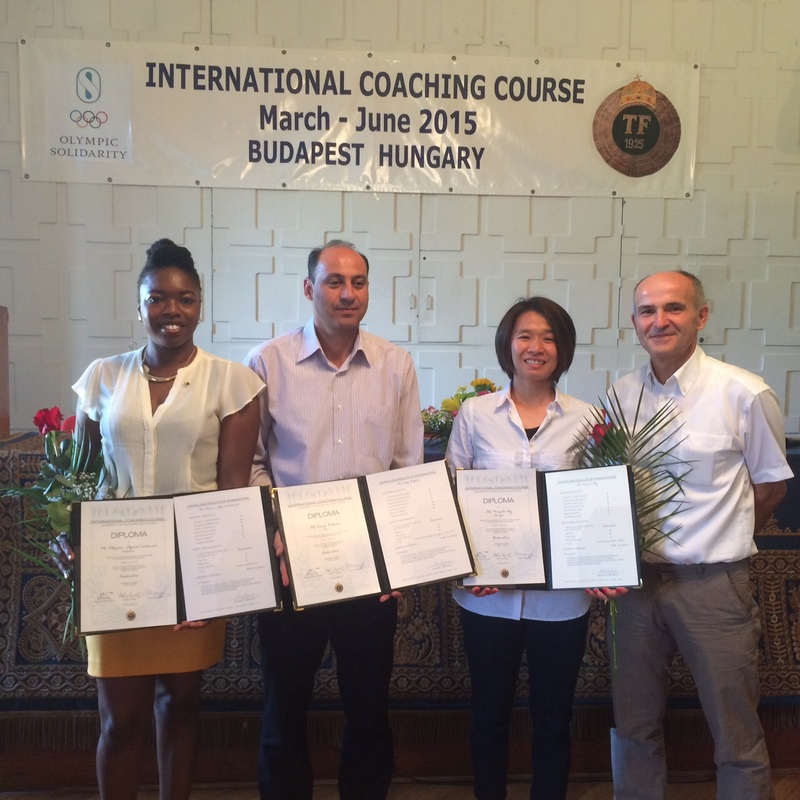 Graduating with a 4.64 general average, Mariama has proudly brought her ICC’s Coach’s Diploma back to Barbados. Mariama said that she was privileged to participate in the ICC, designed to develop excellence in coaching through providing training in the theoretical, technical, and practical aspects of coaching. Participants of the ICC are taught by leading industry specialists like university professors, qualified coaches, sports scientists, and experts in international sport. Coaches from all over the world are selected to attend the three month intensive course, which includes involvement in practical coaching work within leading Hungarian sports clubs. Participants are supervised by a senior lecturer and/or their assistance of their chosen sport. The course comprises a theoretical ‘General Subjects’ part (120 hours), which deals with the general art and science of coaching as a whole and includes subjects such as training theory, sport physiology, sport psychology, exercise and conditioning, sport sociology, sport and research, coach in action, strength training and injuries, Olympic Movement, women and sport, sport management, and sport and nutrition. The second part of the ICC involves a ‘Sport Specialisation’ component (180 hours), which is both technically and practically focused. Technically, the coaches learn about topics such as skills, drills, training methods, strategy and tactics, detection and correction of errors, as well as psychological preparation in relation to a particular sport. The practical component involves applying the theoretical and technical knowledge they have learnt to real-life coaching situations, and consists of coaching experience, practical lessons, and training visits to some of the best Hungarian sports clubs and training camps. The ICC is initiated, organised and supervised by Semmelweis University, Faculty of Physical Education and Sport Sciences, Strategic and International Directorate. Barbados has a long history of coaches who have attended the course, representing sports like basketball, table tennis, volleyball, swimming, and athletics, and now badminton. Congratulations Mariama – you have done Barbados proud!